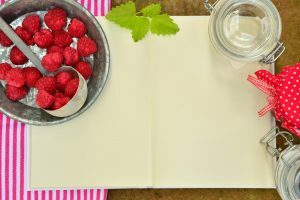 Dehydration is one of the oldest ways to preserve food for a prolonged period. As the name suggests, this food preservation method involves removing the water content from food. The removal of water helps ensure harmful bacteria doesn’t grow on your stored food. 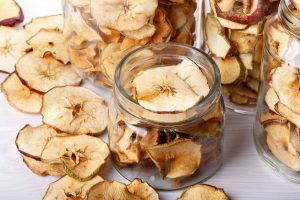 If you’re in the market for a food dehydrator, but don’t know where to purchase it, you’ve come to the right place. There are numerous dehydrator brands on the market, but some are more popular than others. Keep reading on below to learn where to buy a dehydrator. In the world of manufactured dehydrators, the Excalibur brand has built a reputation for setting the pace for other dehydrator manufacturers to follow. Excalibur food dehydrators are designed and built to deliver high-performance to users. But their price tag can be quite high. Only buy your dehydrator from Excalibur if you want a high-end appliance that can meet your discerning needs. Otherwise, you might not take full advantage of the appliance’s performance potential. Check out our blog if you want to determine which Excalibur dehydrator to choose. 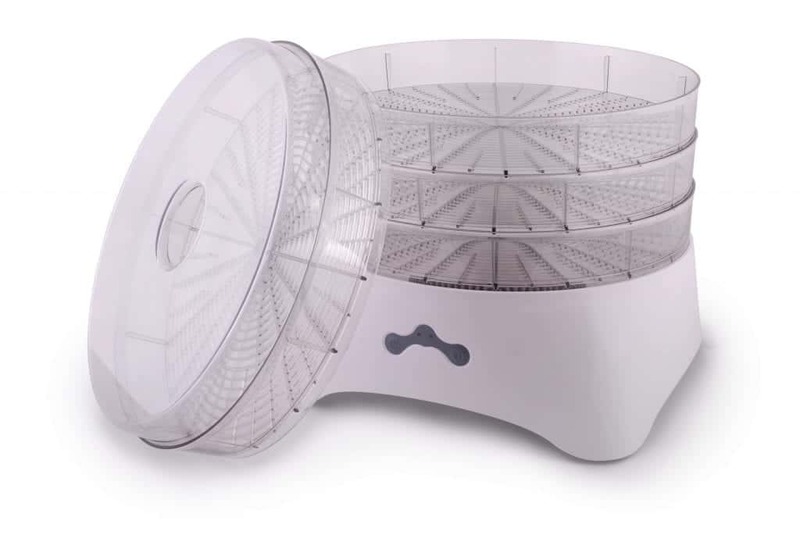 L’Equip makes food dehydrators that attract high price tags on the market. The high prices are due to the high level of performance that the appliances can offer. 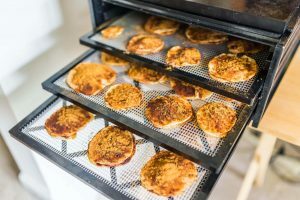 If you want your food to dry out fast and efficiently, you should consider buying your dehydrator from L’Equip. 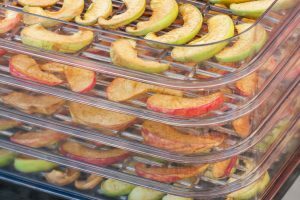 Nesco’s line-up of dehydrators comprises vertical flow models, which are popular for their affordability and great performance. 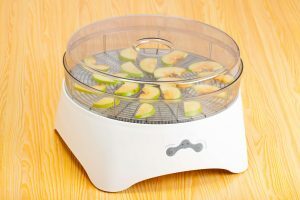 If you can’t afford to splurge on a high-end dehydrator from brands like Excalibur and L’Equip, these dehydrators can be the best deal you can at a budget price. 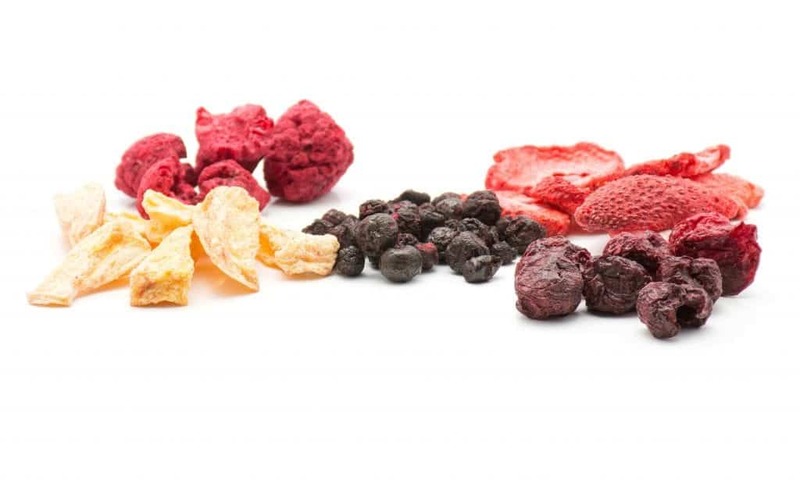 Nesco dehydrators are an ideal choice for people who are novices at dehydrating food. Necso isn’t the only company that makes vertical flow dehydrators for budget-conscious homeowners. Koolatron also manufactures these dehydrators. Like Nesco dehydrators, Koolatron alternatives are the perfect option for those who are new to dehydrating food. 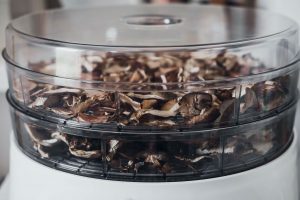 If you don’t mind using a low-cost dehydrator whose design isn’t fancy but can still get the job done properly, consider getting your dehydrator from Presto. Buying a Presto dehydrator can be a low-risk way to test your seriousness to the process of dehydration. 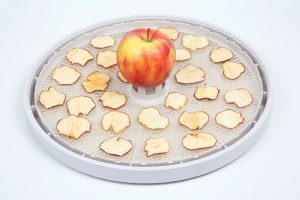 If you want to find a great selection of food dehydrators at great prices online, check out these best sellers in dehydrators. You might find where to buy a dehydrator without breaking the bank. 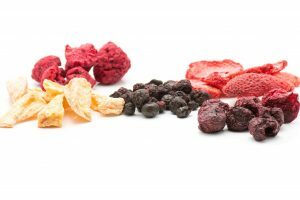 Before choosing your dehydrator, you should know that not all dehydrators are created equal, even if they’re of the same brand. Consider your current and future food dehydration needs and choose a model that fits the bill. If you can see yourself needing more space in the future, it’s a worthwhile thing to invest in an appliance that offers the option of buying more trays, for example. 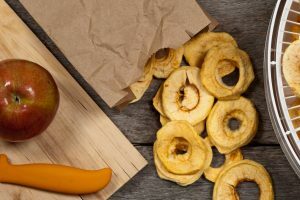 Read our blog if you’ll need help choosing the best food dehydrator.